The Crafty Guide to Columbus: Part 2! 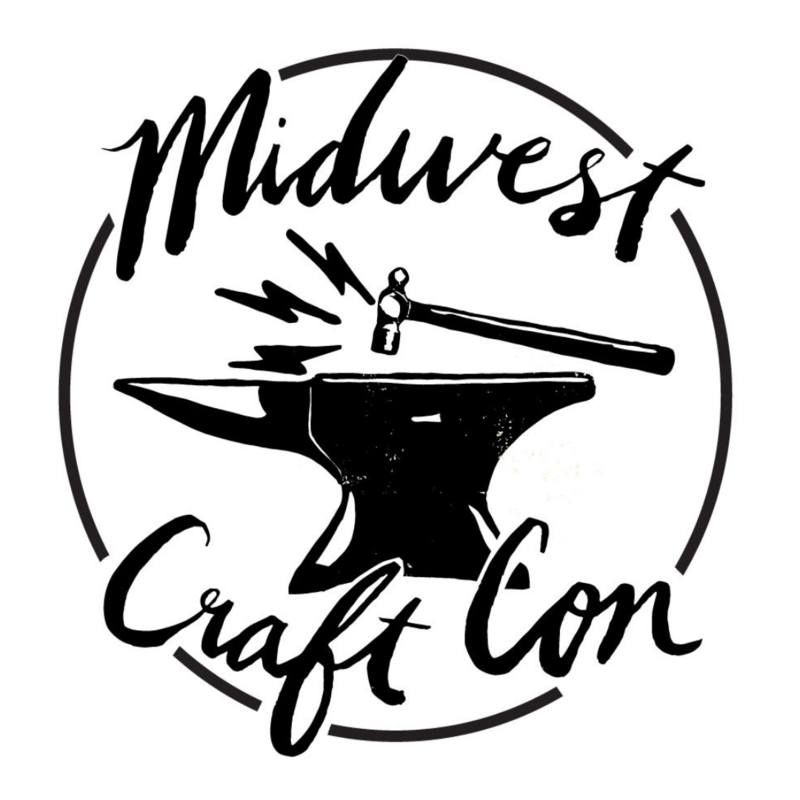 Columbus once again will host creative entrepreneurs from all over the country in 2017, as Midwest Craft Con returns to Ohio’s capital city in February! No one is more excited about this than myself. Not just because the the commute will be a whopping 10 minutes but because I have called this city home for 25 years, and I love showcasing why I love it so. This city continues to receive national recognition for our food and for our coolness, and we just received a $50 million transportation grant. Columbus just renovated its airport, soon to be named after John Glenn, and added daily shuttle services from the airport to downtown. Our Convention Center got a makeover, including a new food court, which will make conners very happy! Our volunteer extraordinaire Claire shared with us her top picks for exploring Columbus in our 2015 city guide to Columbus. Here are even more DIY places to visit when you’re here in February! Like a phoenix rising from the ashes, heritage supplier Robert Mason has become a much-beloved retail shop in Columbus. When a fire burned down the former location, it took close to two years for the company to open their doors in a new, bigger location. You’ll find a wide assortment of modern and cool office supplies, from pens, markers and notepads to leather messenger bags and their own brand of candles and lotions. Tucked into the heart of the neighborhood of Franklinton, Under Aurora opened as a retail space for the much loved skin care line of the same name. It has expanded to sell a curated assortment of handmade goods and offer holistic classes. Located next to the Historic Drexel theater in Bexley, you will find Urban Emporium, owned by four local artisans. Find local charm along with fabulous finds from 80 national cool and creative artisans. A charming floral shop located in Clintonville. Plan for your next event with delicate arrangements, shop their retail section or sign up for a class to cultivate your creative green thumb. Newly remodeled and AMAZING! The Columbus Museum of Art continues to offer a mixture of national treasures, local artists and hands-on experiences. Smack dab in the heart of the Ohio State University campus is the Wexner Center, which celebrates contemporary art in all its glory. Explore performing arts, exhibitions and cinema all in one stop. Columbus Flea: These seasonal events showcase vintage finds alongside handmade vendors and bargain basement deals from local shops like Homage. Add in craft beers and locally baked delights and you have the Columbus Flea, now in its sixth year and still going strong. Sunlight Market: The companion show to Moonlight Market, Sunlight Market makes your Sunday mornings more crafty while you enjoy brunch downtown. The third Sunday of each month from April to October, crafters, musicians and performers take over Gay Street for an outdoor shopping experience. Winterfair: Consistently kicking off the holiday handmade season the first weekend of the December since 2008, Winterfair continues to be a celebration of high-end arts and crafts from nationally recognized designers. Fans of the much beloved Northstar Cafe can now savor the delights of the owners’ new enterprises, Brassica and Third and Hollywood. All have a modern take on casual dining with flavors all their own. Northstar is known for its veggie bowls and burritos, while Brassica offers Middle Eastern fare and Third and Hollywood has tasty burgers and meatballs to die for. Enjoy savory treats and caffeinated beverages in this hip, modern environment located in Italian Village. Sophisticated BBQ and slaws with artisanal groceries is Sweet Carrot Casual Cuisine in a nutshell. Their carrot cake pops are a must. You can explore all of these great spots in Columbus when you join us in February! Early bird tickets are on sale now until Oct. 1 or until the first 100 sell out. Don’t wait! Previous Call for speaking proposals!